Trainweck is a potent sativa marijuana commonly used for recreational and medicinal purposes. The lineage of the trainwreck marijuana strain has been traced to Original E32 clone from Arcata, CA. 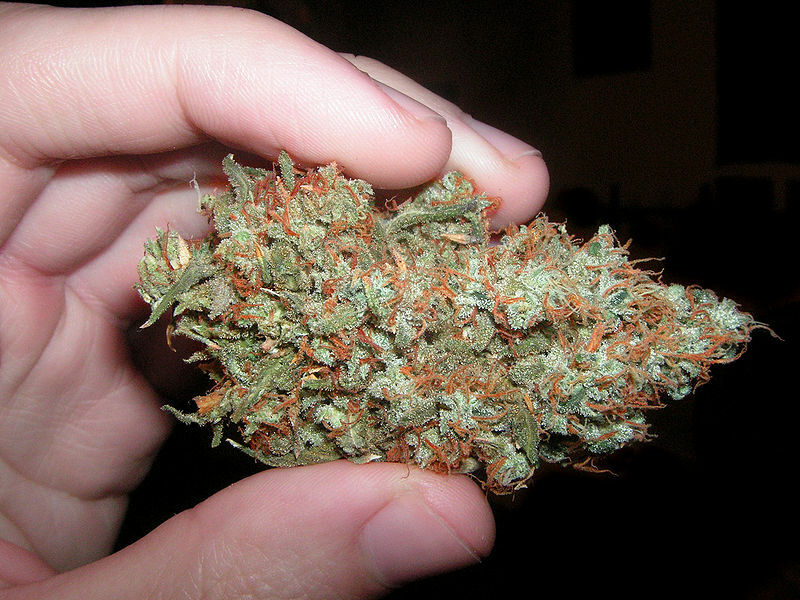 It is a light green color glittered with a coating of trichomes and peach to orange colored hairs. Trainwreck cannabis has a pungent sent reminiscent of pine and citrus. Trainwreck marijuana normally comes in midsized buds with tight greenery. Trainwrek is a potent marijuana strain with a THC content of 15% to 20%, higher than average medical marijuana strains. With marijuana of 90% sativa and only 10% indica, the Trainwreck marijuana strain's genetics are highly sativa dominant. Trainwreck is a powerful strain of Sativa cannabis with a with a large variety of medicinal uses. As such, Trainwreck is widely recommended to medical marijuana patients. It has been noted particularly for its effectiveness in treating MMJ patients suffering from nausea, headaches or chronic pain. Trainwreck cannabis is best grown indoors, however it can also be grown outdoors when proper care is taken in the right climate and location. Trainwreck can be grown in soil but is best to grown using a hydroponic set up. For best results growing Trainwreck marijuana, it is highly advised that the marijuana plants are grown inside using a hydroponics setup.